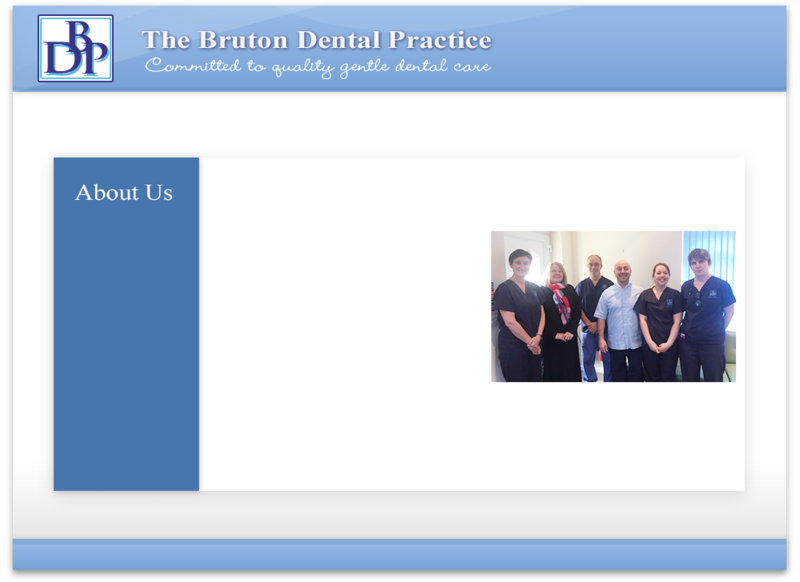 We are a private dental practice in Bruton, Somerset with a small friendly team of dentists and support staff committed to providing quality dental care in a relaxed and calm environment. Our dentists regard your oral health as an important part of your general well-being and want to ensure that you have a healthy mouth and are comfortable with, and confident about, your teeth. We want as much as you to avoid restorative dental treatment, and to this end place great emphasis on the oral hygiene care of our dental hygienists in helping you to achieve and maintain a clean and healthy mouth. Where dental treatment is necessary we will discuss it with you fully before starting any work. We offer comprehensive dental care at the practice and have close links with local specialists to whom we may refer you for certain types of treatment if appropriate.